The next upcoming Windows is called the Windows 10. Fret not, you have not been sleeping for half a decade and missed the ninth release. They decided to skip Windows 9. I have heard of reasons that Windows 8.1 plus plus plus is actually the Windows 9, another reason is that there was a Windows 9x and a lot of installers and coders have actually coded to check for Windows 9xx, which will obviously screw up the future drivers and software big time. 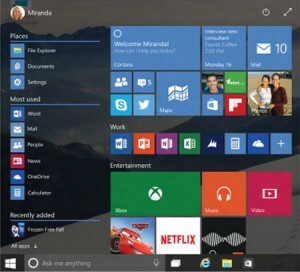 In this article, lets look at some of the great features in Windows 10. You are not drunk or mad. 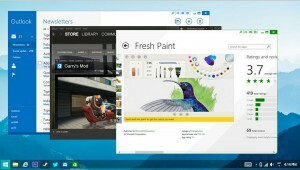 The new Windows 10 is a free upgrade even for Windows 7. I could have slapped myself so hard for paying $299 for a copy of Windows 8 not too long ago. Read more about it here. Sign up now, I think they have a year for users to do so. After spending a few years teaching less tech users on how to search on the Metro screen. They ditched the metro screen for a Start Menu that is a combination of Metro apps and the old trusty Start Menu. I could have won a bet against Microsoft hard for the turn around, because they said it few years back that they will not bring it back. Finally they did realize that allowing the apps to only use either 3/4 of the screen or not at all is idiocy to the max. While we are still able to use snap to in Windows 8 the same way like Windows 7, the new Snap to seems to have some artificial intelligence to allow you to snap to a quarter of your screen. Previously apps will only run in full blown windows, and you wonder why the developers did not consider the fact that people run multiple apps together and the fact that apps do not come with a cross at the top right and has a unique way to shut it pisses new users totally. The new Windows 10 allows users to open multiple apps like a normal application and comes with a normal close x at the top right. Apps will now be cross platform compatible. Thus there will be no more headache where by you have apps in the mobile but not able to run them in the Desktop. Is it worth making the jump? I will say pros and cons. The pros will be that Windows 10 will be a much improved operating system that will be able to optimize the newest CPU and rams to its fullest potential. However the cons will be that I believe that the newest Windows 10 will also imply that there may not be a chance for pirated operating system to be used as it may adopt a account based account to one operating system. Or have the user use the operating system on a subscription basis. 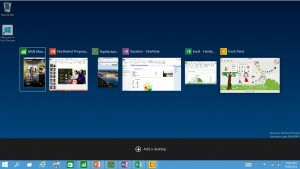 We are able to see this kind of concept that is already in place with the latest Microsoft Office.